Join us at the next DNA Town Hall to hear from and meet representatives of Better Together. 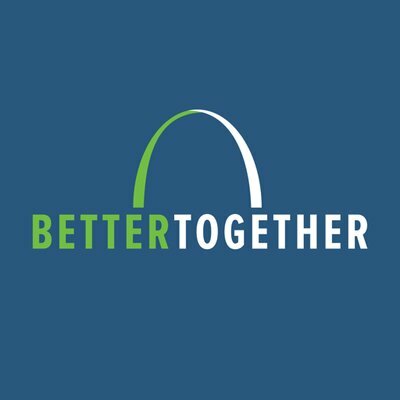 Better Together is an effort striving to support the St. Louis region by acting as a catalyst for the removal of governmental, economic, and racial barriers to the region’s growth and prosperity for all of our citizens by promoting unity, trust, efficiency, and accountability. Come learn more about the recommendations, ask questions, and see how you can get involved. 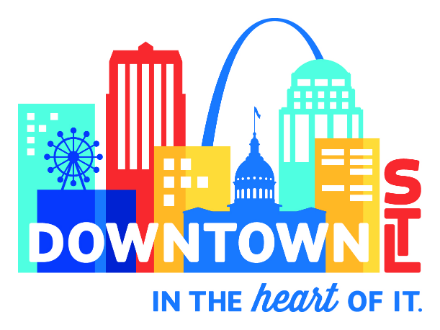 The Town Hall will be on Monday, May 13th at 6:00 PM in the St. Louis Public Library Central auditorium, 1301 Olive Street. Metered parking available. Keep posted for upcoming agenda items and post-meeting social location. Join us Monday, March 11th at 6:00 PM for our next Town Hall located at the St. Louis Public Library – Central in the auditorium, 1301 Olive Street. Metered parking available. Meet the 2019 Board of Directors, local elected officials, and hear from new businesses in the region. Attendees to the DNA Town Hall will receive a raffle ticket for a mystery door prize. Tickets are free. One ticket per attendee, please. Winners must be present. Still have a few questions? Want to get to know your neighbors a bit more and support a local business? Meet us after the meeting during our DNA Social at Missouri Bar & Grill, 701 N Tucker. On Monday, March 11th at 6PM in the Central Library, DNA will host our bi-monthly Town Hall Meeting. At this meeting, a resident member will present proposed bylaws amendments. In accordance with our bylaws, any suggested changes must be presented to the membership at least 7 days prior our meeting. Below are plain and redline versions of the proposed bylaws amendments. Please review both versions and be prepared to discuss at the Town Hall Meeting. On Saturday, February 9th, the 2019 DNA Board of Directors held their board work day. During this day, the board elected its new officers. Congratulations to the new officers! Description: Meets the last Wednesday of the month. Location may vary. Email safety@saintlouisdna.org for more details and to subscribe. Description: Join us at Happy Hour in a Downtown St. Louis establishment on the last Thursday of the month. Location varies. Check the DNA newsletter for more details. Description: Meets every first Monday of the month. Location varies. Contact Melanie Fries (melanie@saintlouisdna.org) for more details and to subscribe! Description: Join us every other month on the second Monday for DNA Town Hall meetings. Located at the St. Louis Public Library - Central auditorium, 1301 Olive Street. Metered parking available.